Welcome back and hope you are having a great 2017. 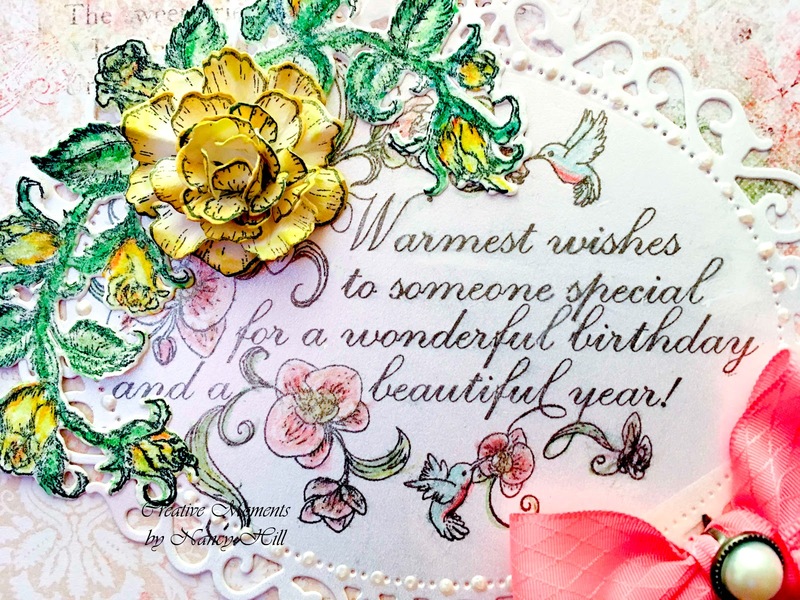 I need a few birthday cards this month and excited to share with you a birthday card to my daughter. The Rubber Buggy on-line store carries the Heartfelt Creations collections of papers, dies and stamps that you will love to have for your next cards. 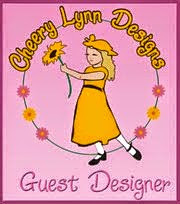 The Rubber Buggy has fast delivery and great customer service while carrying the top name brand craft and card making products. I made this card using the gorgeous Heartfelt Creations Blushing Rose, Heartfelt Creations Classic Rose and beautiful Heartfelt Creations Botanical Orchid Wishes Stamp set. 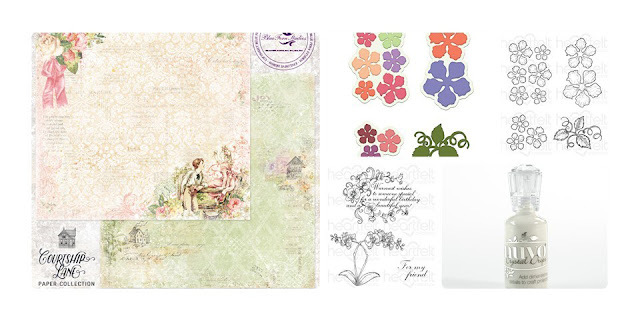 The gorgeous card stock is the Blue Fern Studio, Courtship-Lover's Lane. 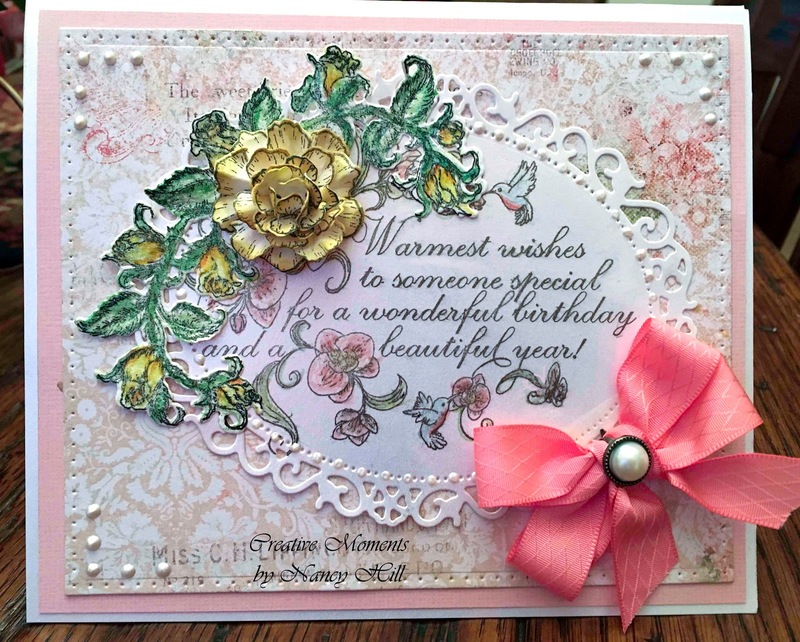 I was able to make two cards with this one card stock. I colored the Heartfelt Creations Classic Roses and Blushing Roses stamps with Copic markers and the hummingbirds with colored pencils and cut the roses out with the Heartfelt Creation Classic Rose and Blushing Rose die sets. I dotted around the oval Spellbinder/Heartfelt die with NUVO Crystal Drops - Oyster Gray which isn't gray but a beautiful white pearl. Now it is your turn to try these products out from The Rubber Buggy and see what you create! 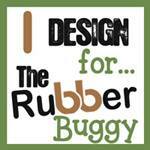 The Rubber Buggy Design Team has something new to share here Pop in often and see for yourself what is being shared by this talented group of inspiring designers! !